Time to wrap up the year in style. Looking for something new to do for New Year’s Eve? Here are a few fun activities that are sure to bring a spark and sparkle to your end of the year as you look forward to the new year. Cheers! And Happy New Year! Volunteers will help you spot gray whales at 24 sites along the Oregon Coast during Whale Watching Week. During the winter you can watch nearly 20,000 gray whales from mid-December through mid-January as they travel south to the warm lagoons of Baja Mexico. One of the best viewing (and educational) spots to see this amazing display of nature is at the Whale Watching Center in Depoe Bay. Free. The Oregon Symphony’s “Ode to Joy: New Year’s Celebration” includes a swinging Big Band plus Beethoven’s Ninth Symphony at Arlene Schnitzer Concert Hall. Norman Leyden’s best Big Band charts get your evening off to a swinging start, while Beethoven’s Ninth and the full-throated glory of its soaring Ode to Joy will have you ready to pop the cork and welcome the New Year. A ticket to The Governor’s Ball begins with an exclusive VIP reception where you and your guest will be welcomed with a complimentary signature cocktail and hors d’oeuvres, followed by a three-course gourmet dinner and complimentary wine at your table. Dinner will be followed by a night of live music from recording artist Patrick Lamb, accompanied by musical vocalists The Brown Sisters, and acclaimed dancers from CG entertainment and Me’lanie Talent. This event is 21+. Ring in the New Year at First Run with a party at 10 p.m. followed by a 5K run/walk and a 10K run at midnight from the World Trade Center Plaza. A bit earlier in the night is also a 1.5-mile run/walk. The courses take participants along the waterfront and across 2 bridges, with spectacular nighttime views of the lights of our beautiful city. There will be food and beverages, music and dancing. Costumes are encouraged – there will also be contests and prizes! 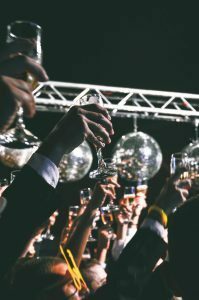 New Year’s Eve with DJ Anjali and The Incredible Kid has dance music and dance performances in two ballrooms on two levels at the Melody Ballroom. This party marks the 16th anniversary of Anjali and The Kid playing in Portland clubs as a duo since their New Year’s Eve debut in 2000. This event is 21+. How cool is this? Spend New Years Eve hearing songs and stories by Art Alexis of “Everclear” and Leigh Nash of “Sixpence None The Richer” at Alberta Rose Theatre. 21+, or have a parent/guardian. 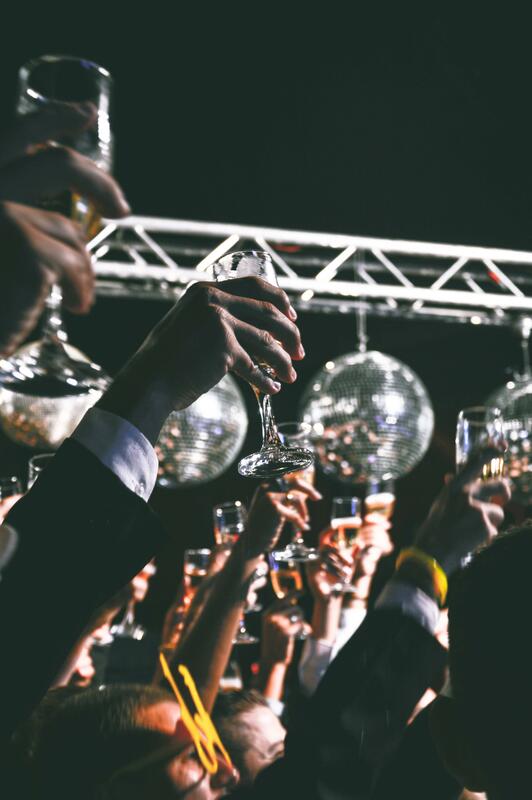 New Year’s Eve Extravaganza is four hours of sketch, stand up, improv, and aerial arts plus hors d’oeuvres, dessert, a champagne toast, and a midnight dance party at Curious Comedy Theater.